Society, the media and marketing overvalue superficial values like outer beauty and material wealth. 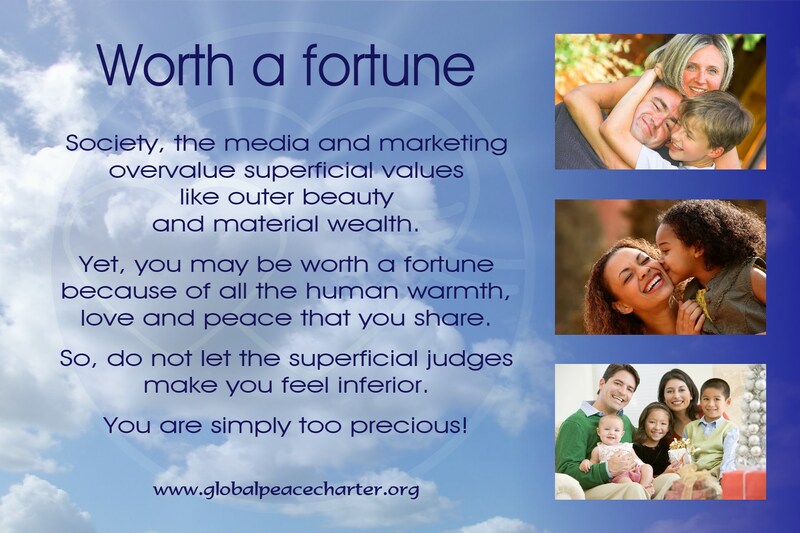 Yet, you may be worth a fortune because of all the human warmth, love and peace that you share. So, do not let the superficial judges make you feel inferior. You are simply too precious!